32 LC DBM "We paved the entire driveway with the desired pavers, then we marked where exactly we wanted the diamond," Dan ex - plained. "We cut the area then installed the diamond," using different pavers than the rest of the driveway to break the look of the pavers and to tie the front yard to the back. From planning to completion, the project took about two months, with the installation itself lasting four to five weeks. A crew of up to eight people worked on the 3,000 square foot space during that time. Above In addition to retaining the slope, the wall served the purpose of expanding the side yard. "We created more space between the house and the prop- erty line," explained Dan. The biggest challenge they encountered for this project was the excavation for the retaining wall, which took three days. "Thousand Oaks has a lot of areas that are very rocky," he said, so they used air breakers to get the rocks into manageable pieces for removal. 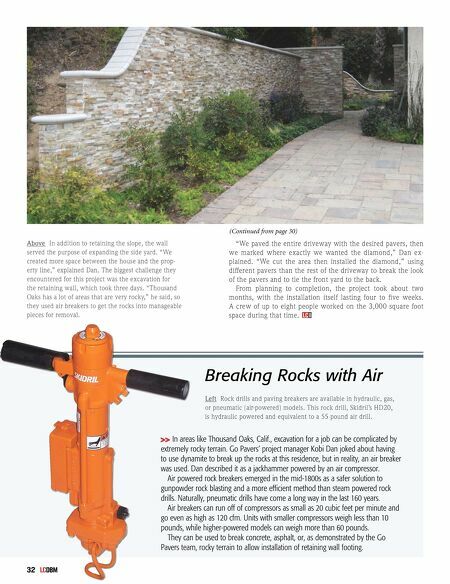 (Continued from page 30) LC DBM Breaking Rocks with Air >> In areas like Thousand Oaks, Calif., excavation for a job can be complicated by extremely rocky terrain. Go Pavers' project manager Kobi Dan joked about having to use dynamite to break up the rocks at this residence, but in reality, an air breaker was used. Dan described it as a jackhammer powered by an air compressor. Air powered rock breakers emerged in the mid-1800s as a safer solution to gunpowder rock blasting and a more efficient method than steam powered rock drills. Naturally, pneumatic drills have come a long way in the last 160 years. Air breakers can run off of compressors as small as 20 cubic feet per minute and go even as high as 120 cfm. Units with smaller compressors weigh less than 10 pounds, while higher-powered models can weigh more than 60 pounds. They can be used to break concrete, asphalt, or, as demonstrated by the Go Pavers team, rocky terrain to allow installation of retaining wall footing. 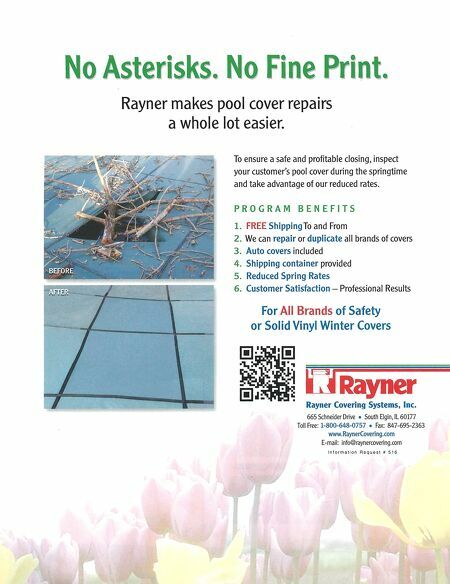 Left Rock drills and paving breakers are available in hydraulic, gas, or pneumatic (air-powered) models. This rock drill, Skidril's HD20, is hydraulic powered and equivalent to a 55 pound air drill.